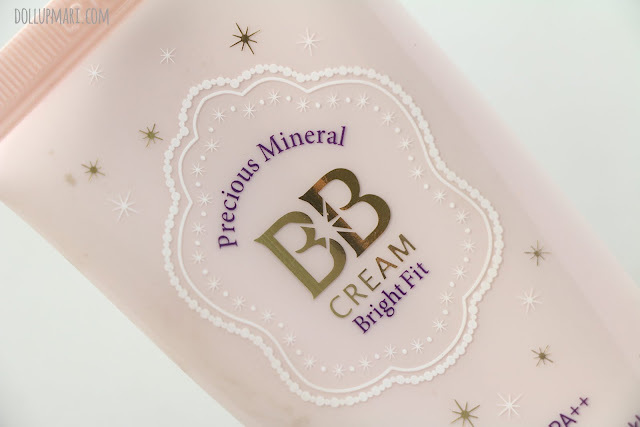 This is a nostalgia-eliciting blog post for me because this is the first BB Cream I bought in the Philippines. And the second overall, having gotten Skin 79's BB Cream awhile back before this purchase. 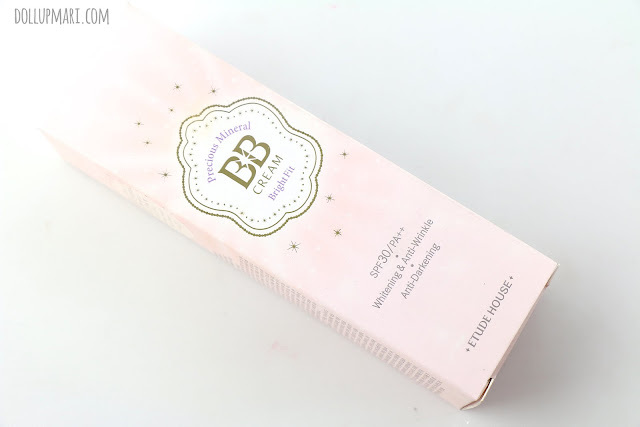 I didn't know much about BB cream then, more so makeup. And fast forward to today it's now review time. If I'm not mistaken, Bright Fit was the first BB Cream Etude House came out with. Before that I think it was a contest of who could still find new unique selling propositions with foundations. BB Cream is definitely a game changer. This shade I got is Light Beige, or shade N02. 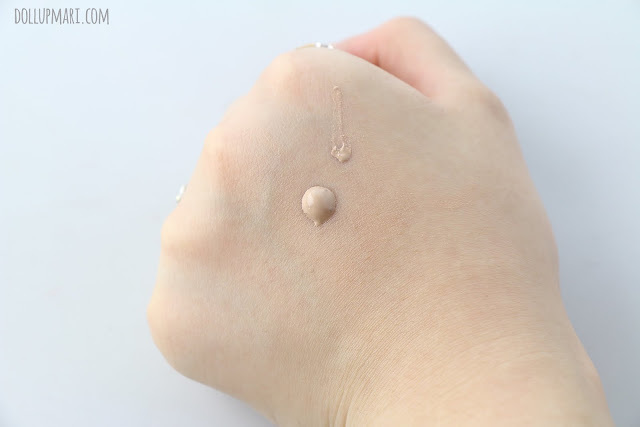 In the Etude House family, this is the lightest shade. There are W13 and W24 shades, W24 being the darkest. But well, it is still light enough for most Pinays, so there's that. 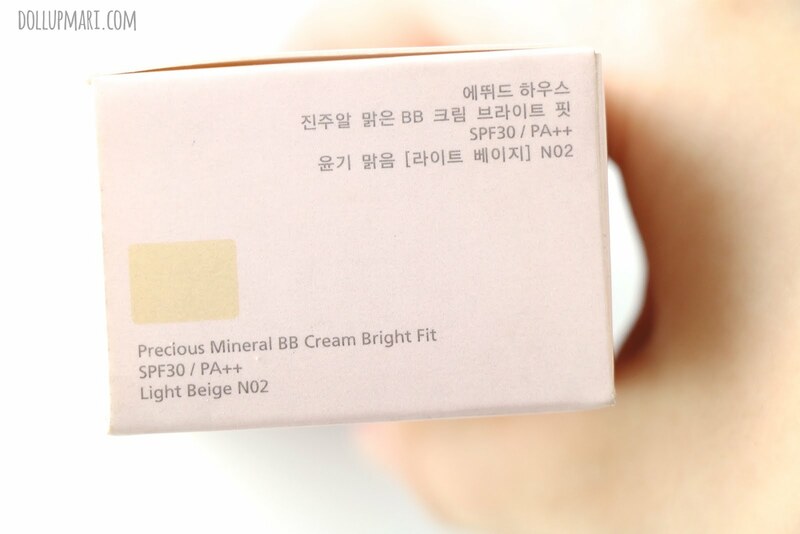 As with their other newer BB Creams, this promotes UV protection, whitening, and wrinkle reduction. The main promise is a silky complexion thanks to the pearl essence. For the curious folks out there, here are the ingredients. 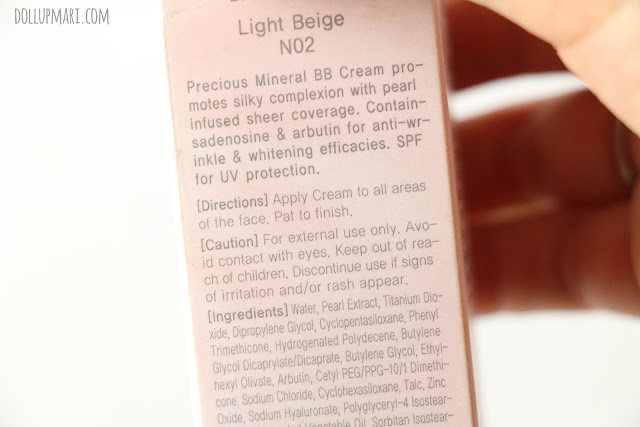 I get dizzy whenever I read BB Cream boxes because the amount of ingredients is crazy. 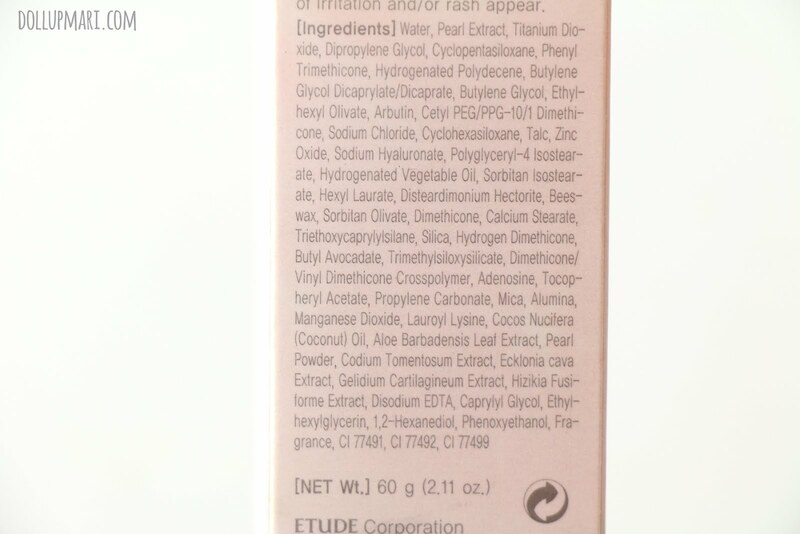 But what I like is that Pearl Extract takes up a big bulk of the ingredients. 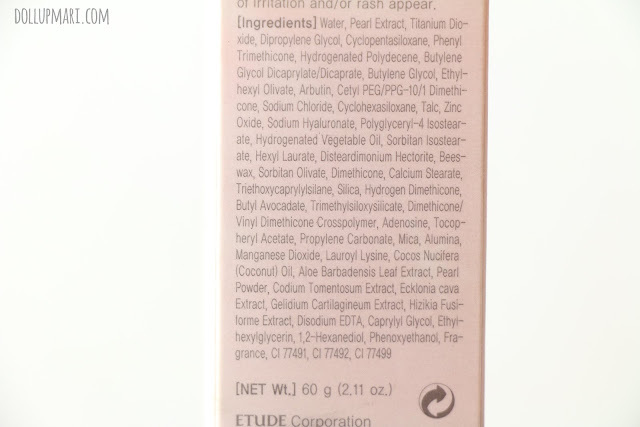 Ever felt annoyed that all the special, fancy, foreign sounding special ingredients in products are only like 1/1000000000 of the product? At least that's not the case with this BB Cream. This one is SPF 30 and at 60grams, too. This is the product and the box. Please be informed that my tube is already very slim because at this point I've used up more than half of it already. When I bought this, I still wasn't a beauty blogger, so I didn't have any place to review this in after I bought it. The tube comes with a pump. Since this is already the one I've used up the most and I still haven't used up most of it, I have no idea as to how easy or how hard it would be to get product through the pump once there is only a really small amount left. 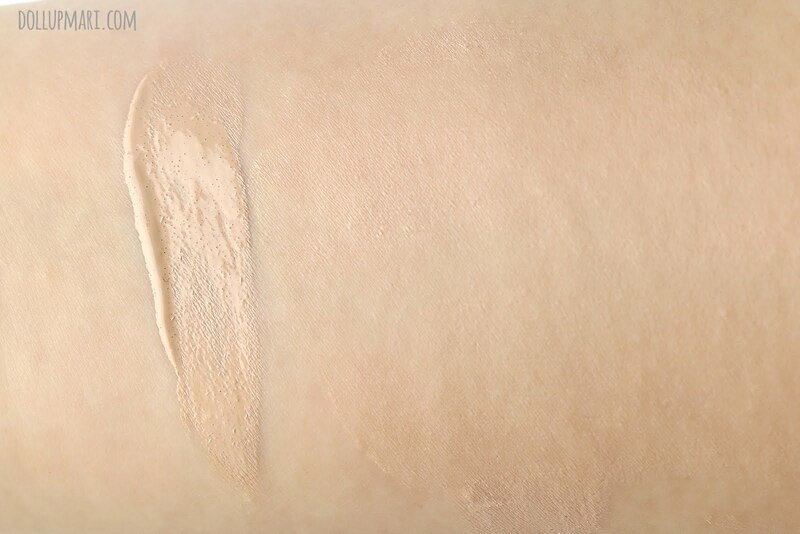 This is the lightest shade of Etude House's BB Creams, but the color disappears on my arms. 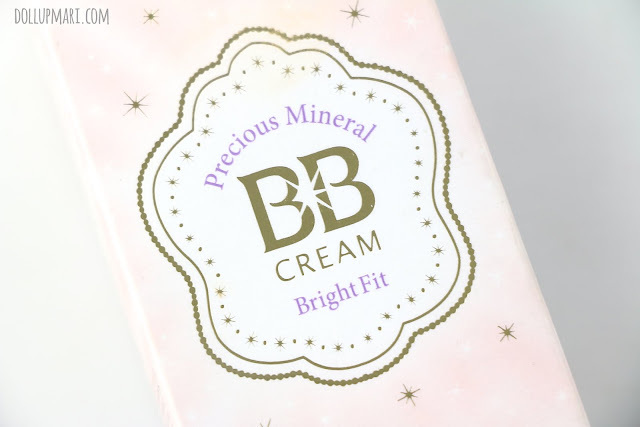 The nice thing about all of Etude House's BB Creams is that they blend with the skintone of the wearer. I've always loved Etude House BB Creams because whenever I apply it, it's already like 60% of the whole look. It takes care of most of the dark circles, covers all the uneven blotches on my face, and gives a very nice glow. On normal days, I apply this BB Cream, follow up with some face powder and eyebrow powder, and finish off with Etude House's Cupcake All Over Color cream blush. It's the "I'm too lazy to do my makeup but I don't want to look like garbage" makeup look. And amusingly, this is one of those products that works on the makeup counterargument basis... As in a lot of people and companies believe that people oil up with foundation because it's so oily and gunky, and thus come up with water based and mousse based products. On the other hand, though, some makeup experts believe that the skin oils up because the skin is looking for moisture and is making up oil to compensate for all the powder applied onto it. This is why some experts go to the lengths of applying concealer as foundation, or never tossing out their cake foundations even if it's 2015. When I use this product, surprisingly, since it's so thick and dense, it does not melt off my face even after a long day. I can last 12 hours looking like how I went out of the house because it's so thick. And even if I sweat and pat off the sweat with tissue, barely any product gets removed. I actually think that this is the heaviest when compared to Blooming Fit and Perfect Fit, but it works so well in lasting power. But well, the payoff is that it's less buildable. The moment I apply this, it's like I'm applying liquified cake foundation. If I'm going for a very bare look, this won't do because this is so pigmented that I'd rather use another BB cream than blend this all night long just to get the effect I want. Or I'd need to use a kabuki brush, which I don't really use on a daily basis. As for the oil part, I guess it's nice that it doesn't look oily, but rather it looks dewy because of the pearly composition that it has. 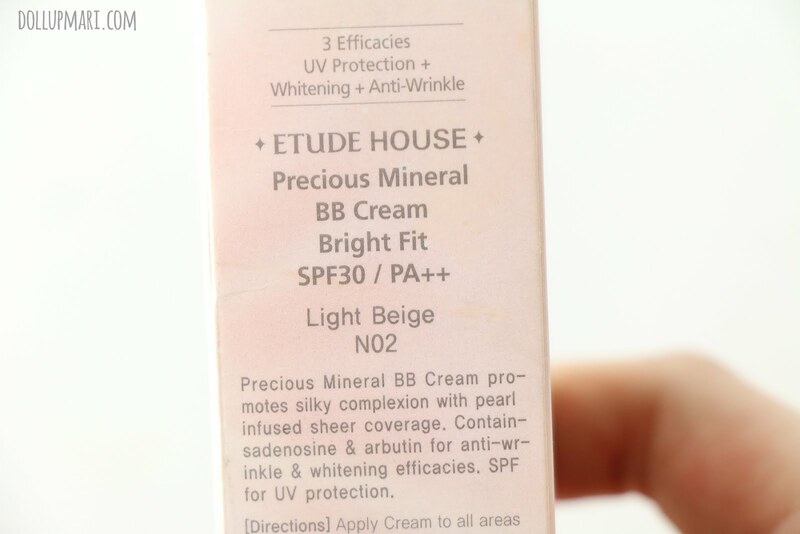 I already have other BB Creams of Etude, but I always see myself going back to this one because it makes the skin look so dewy and it is just so long lasting. Their other BB Creams are long lasting, too, but this one is just especially long lasting. You can get your fix of this for Php848 at Etude House stores nationwide. Hi, Ms. Marilene! 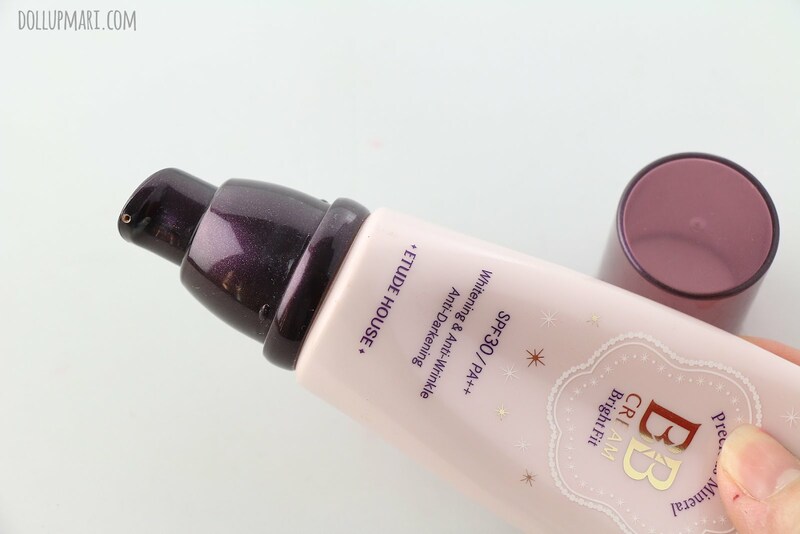 Of all the Etude House BB Creams you've reviewed, which do you think suits dry skin the most? The one that highlights dry patches the least, etc.? Thank you! If you have dry skin you won't have problems with Etude House's BB creams because they're so thick and emollient in general. Their formulations in general are made for Koreans to last the harsh winter with dewy skin, so they fit dry skin most of the time. I have never tried Cotton Fit, but as far as feedback goes, it's the only one you should avoid if you do not want to exacerbate the look of dry skin.